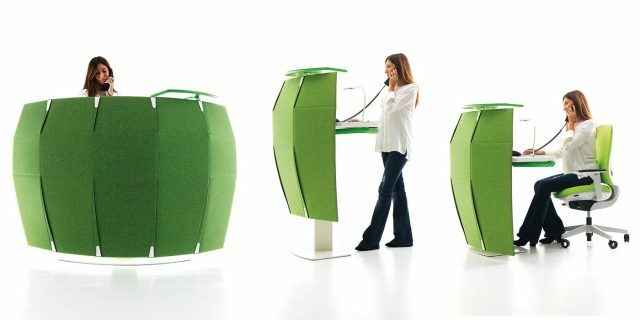 Funny Sat is the first operational desk that can be transformed into a reception. 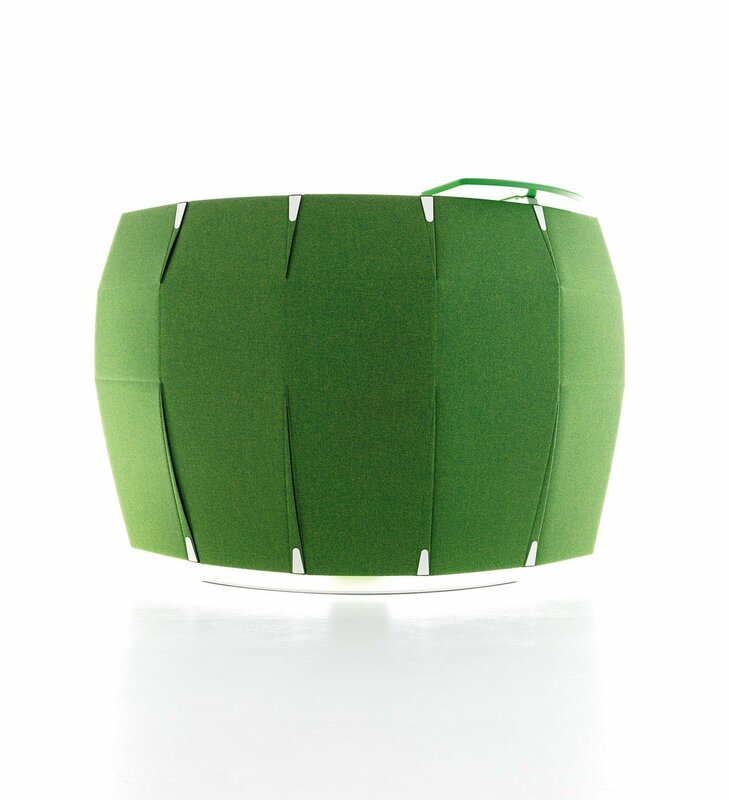 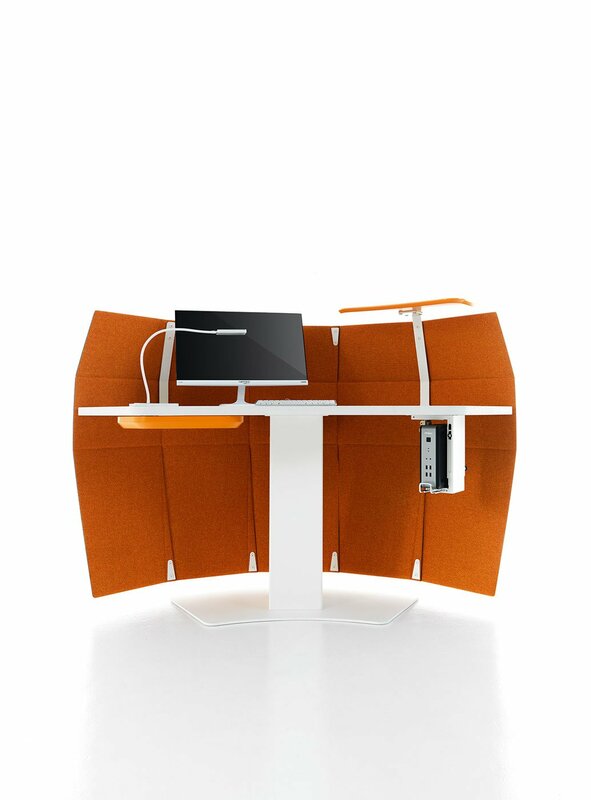 It is an item of design furniture especially conceived to create an atmosphere that is both creative and productive at the same time. 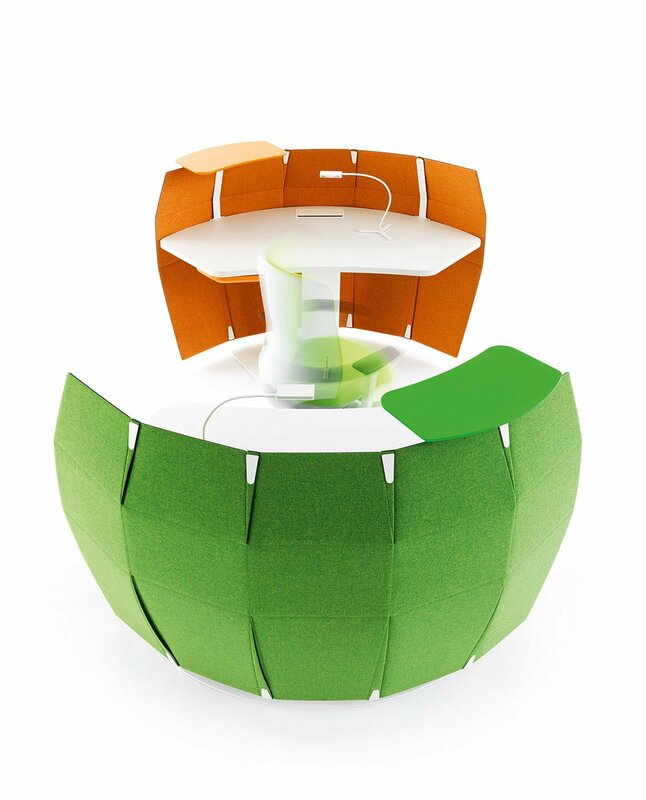 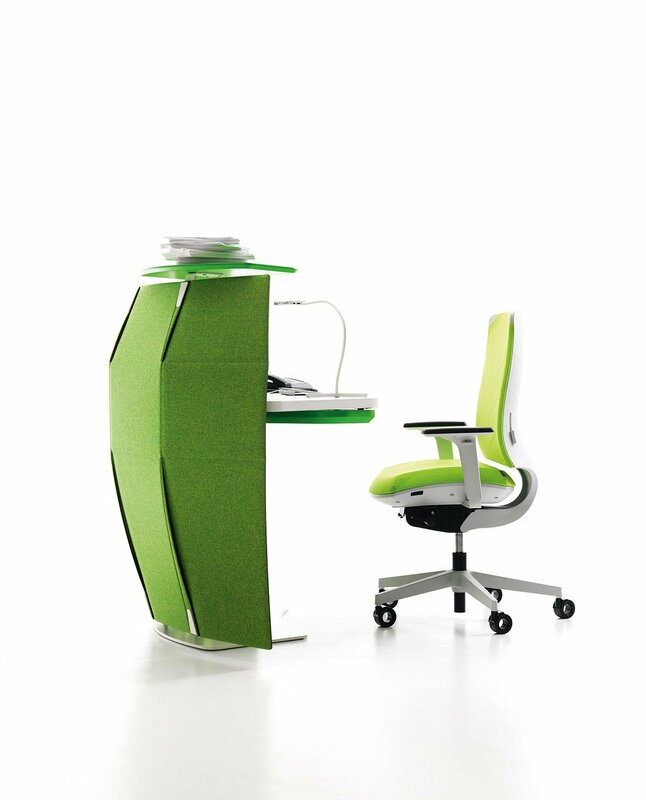 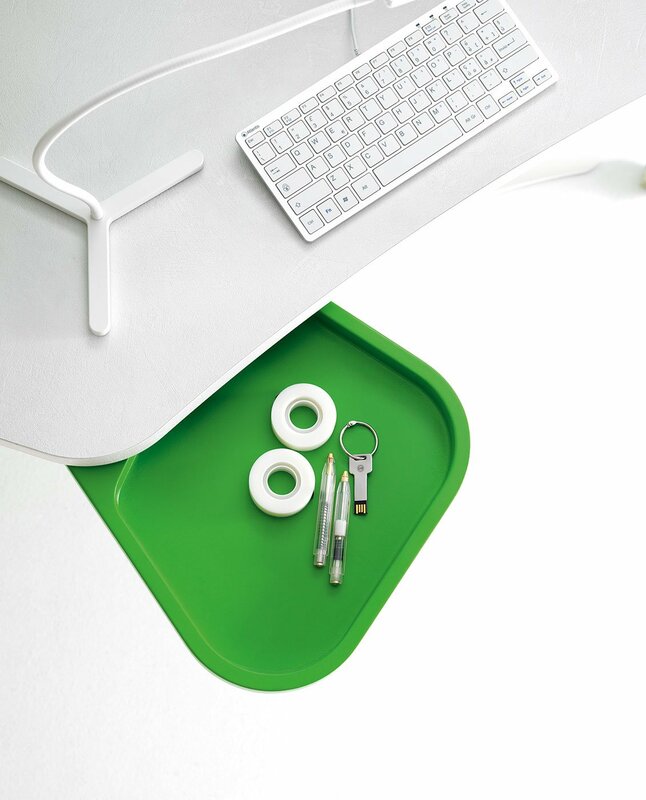 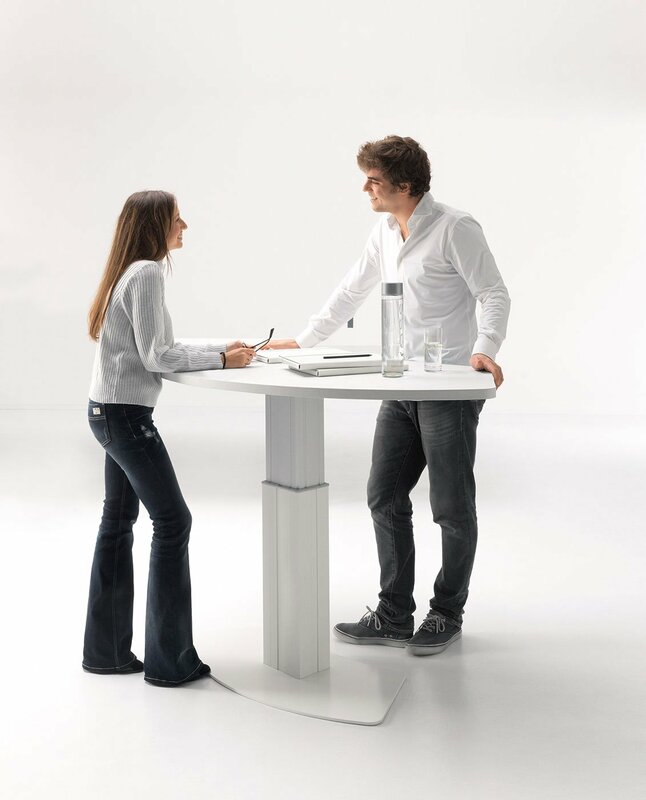 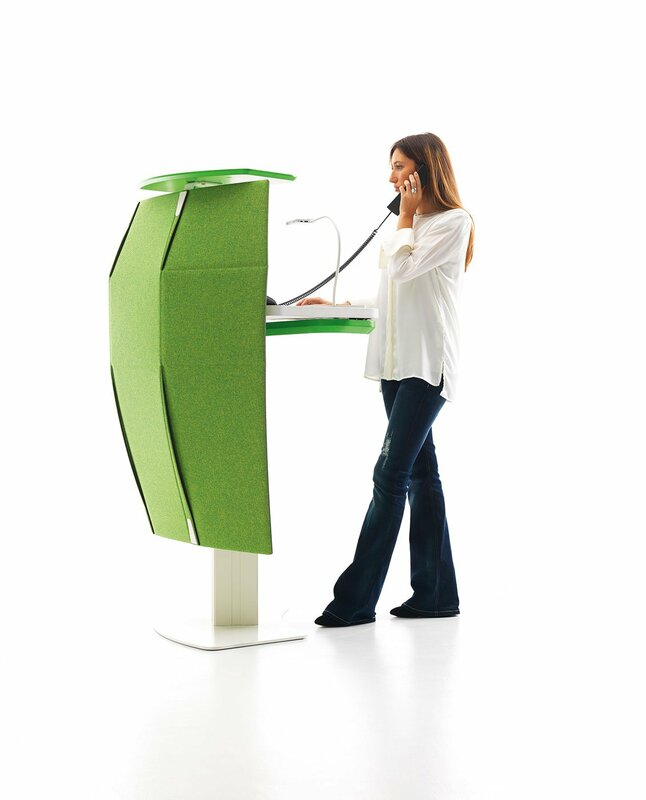 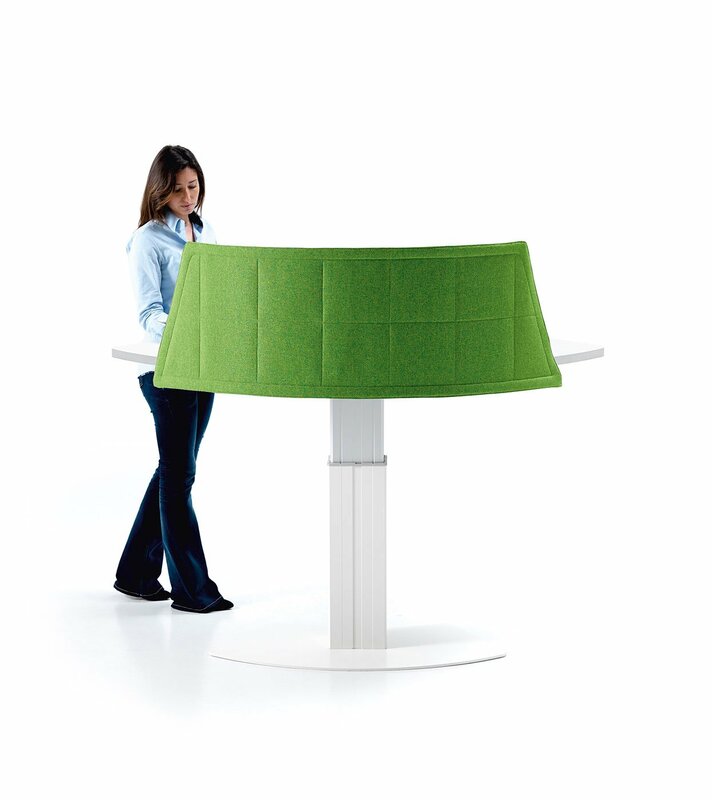 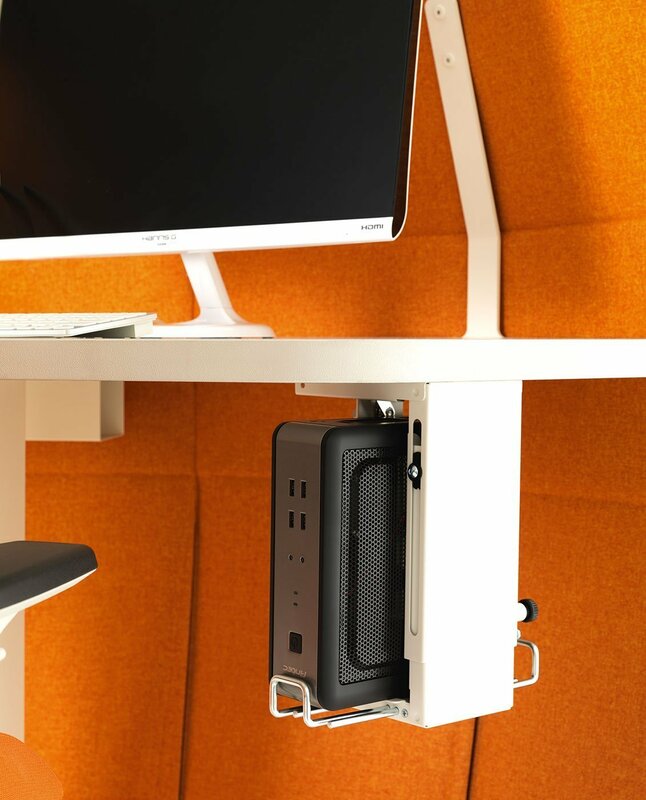 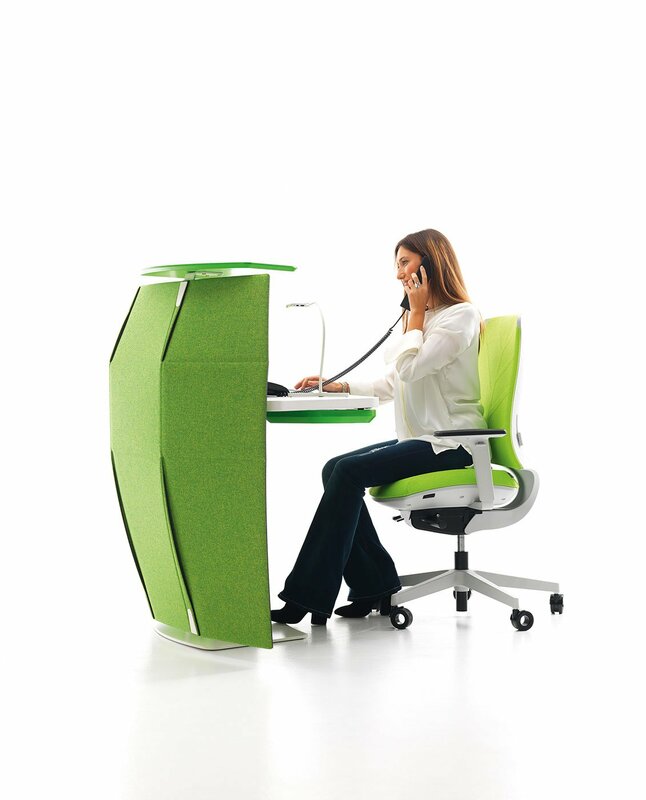 In fact, on the one hand, Funny Sat can be used in its version as a Desk, while on the other it can be used as a reception desk in its Welcome version, with a desk top that can be extended from 75 cm to 115 cm. 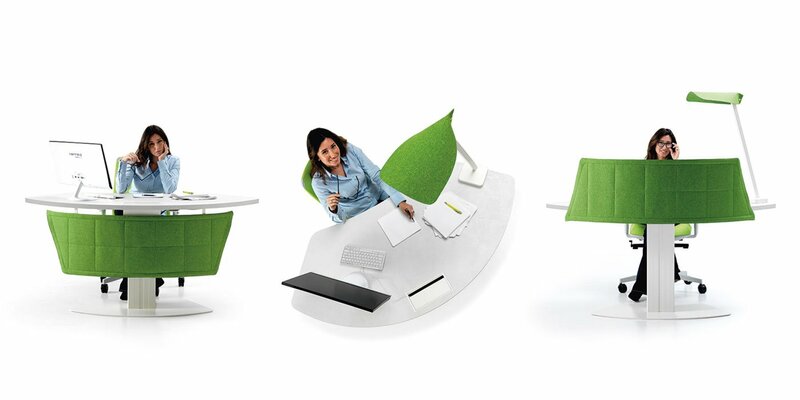 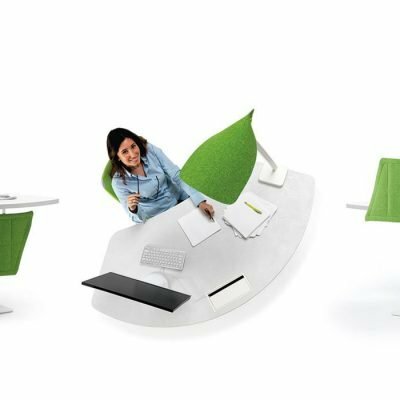 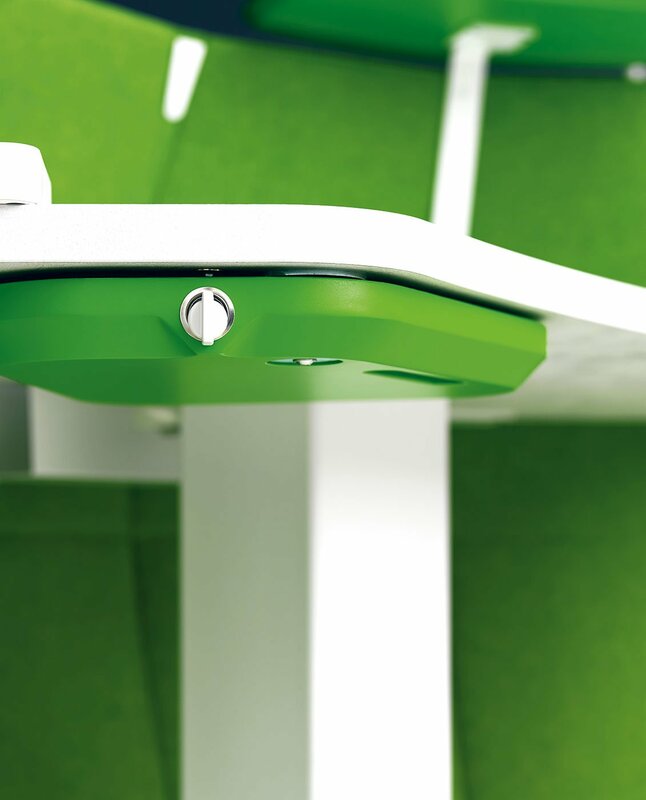 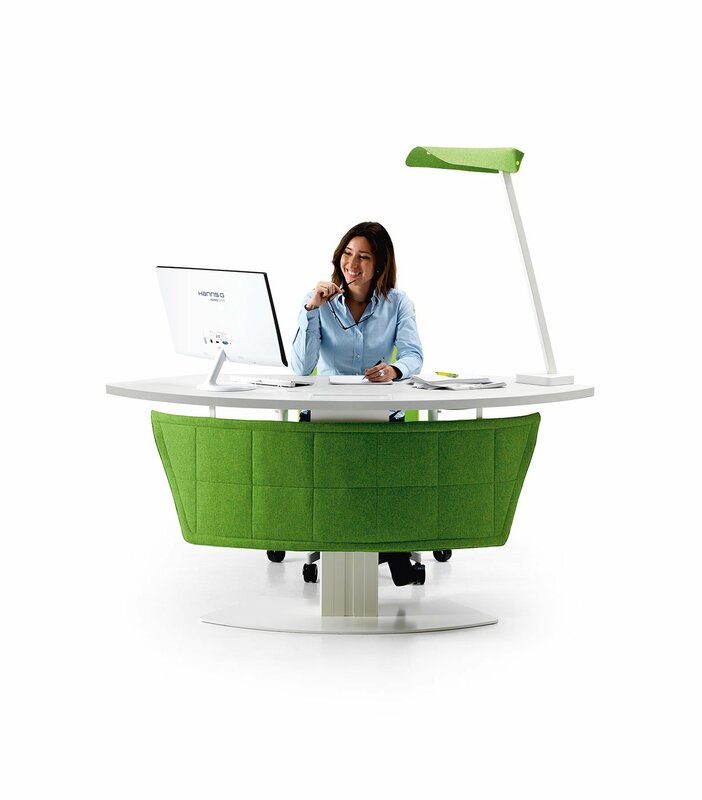 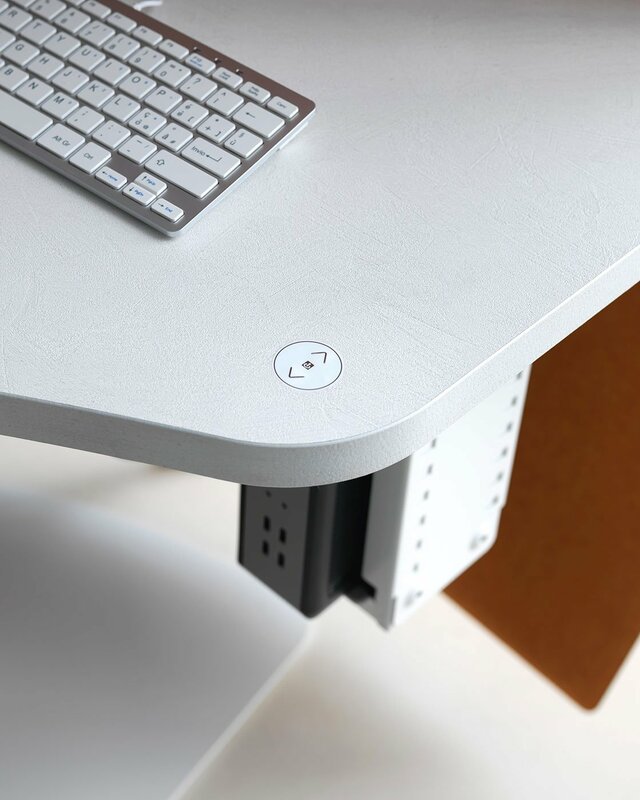 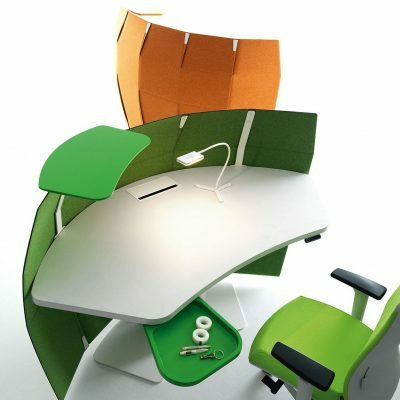 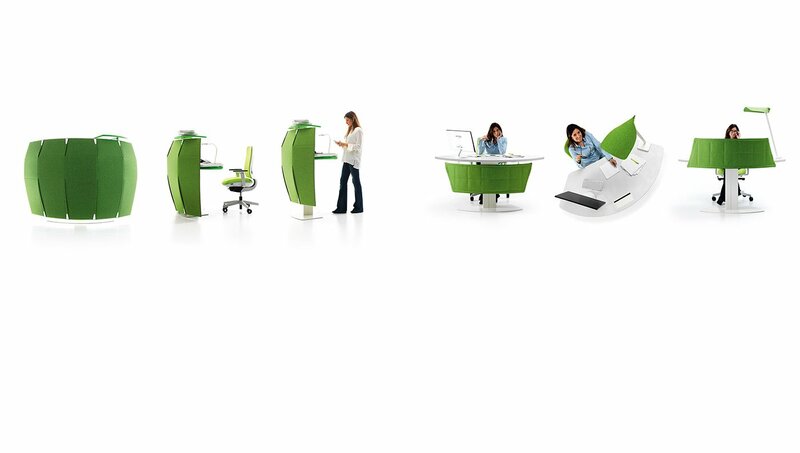 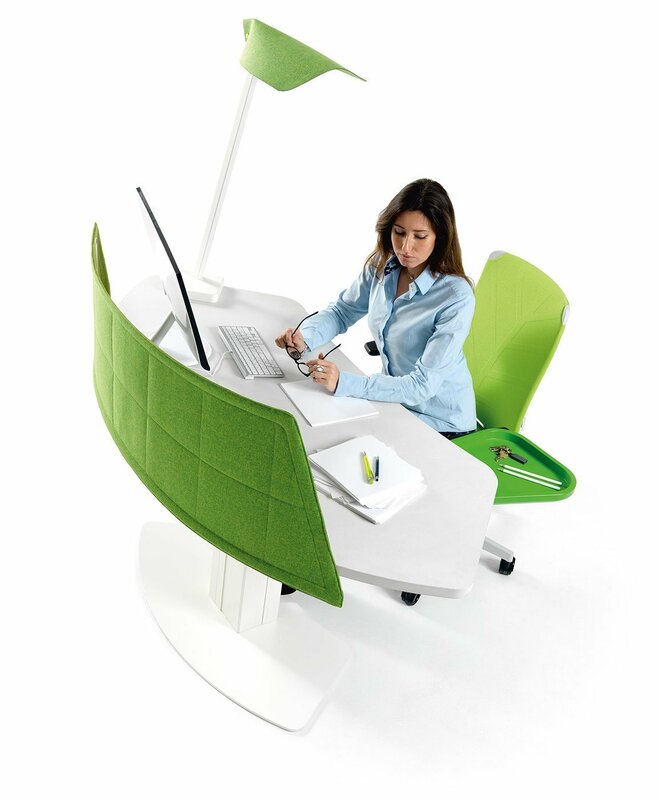 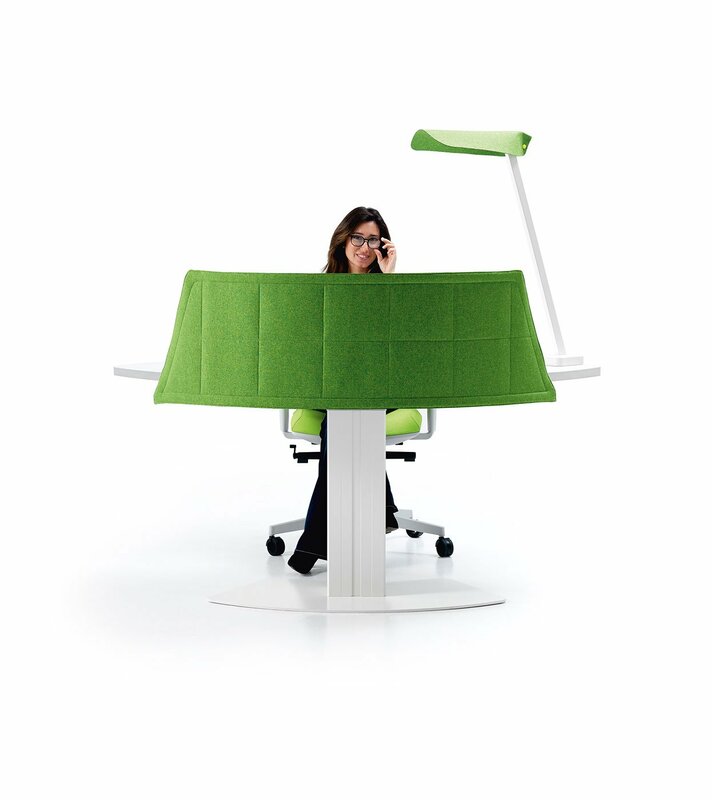 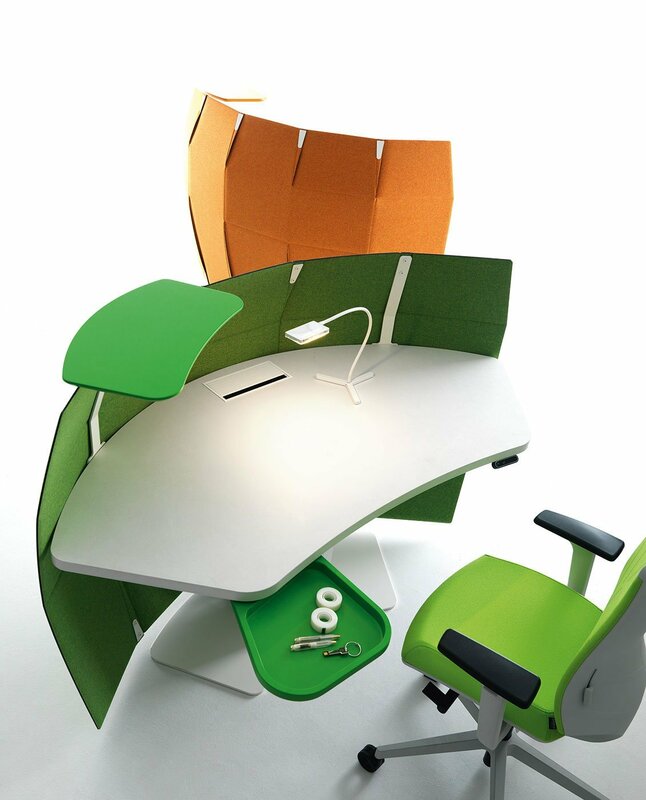 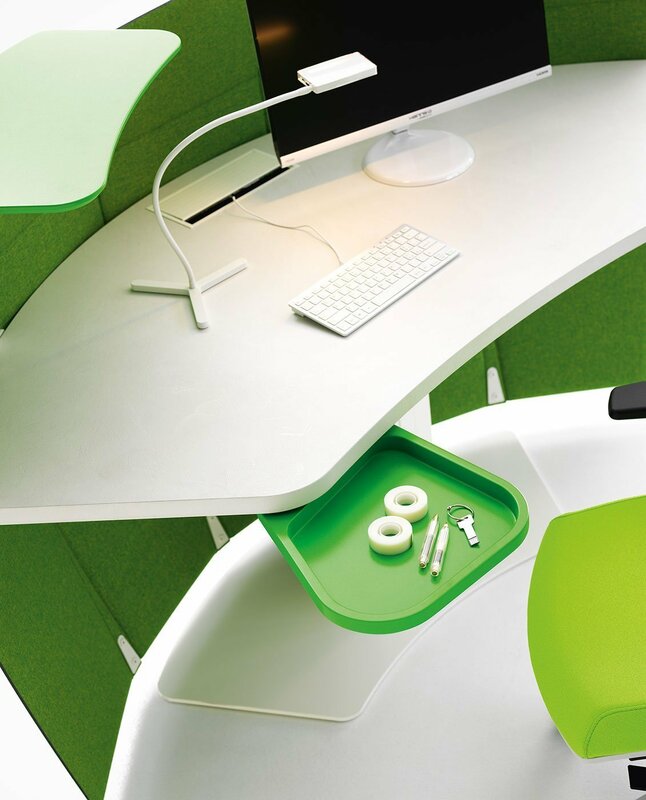 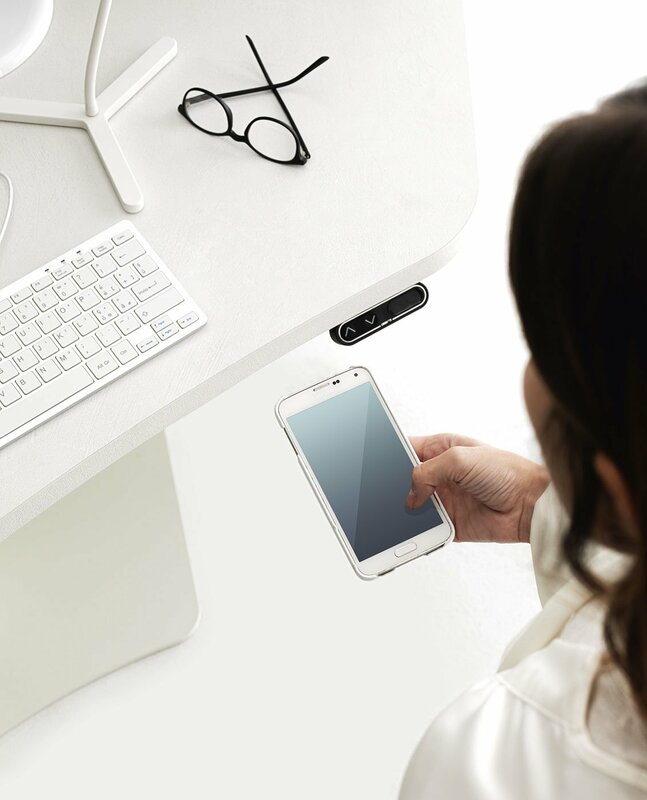 This innovative office desk makes it possible to meet different requirements: from ergonomics to “intelligent” furniture, by means of the digital equipment of which connects the “activities” normally carried out by both the desks as well as people. 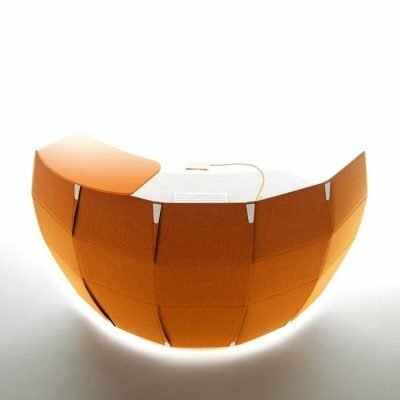 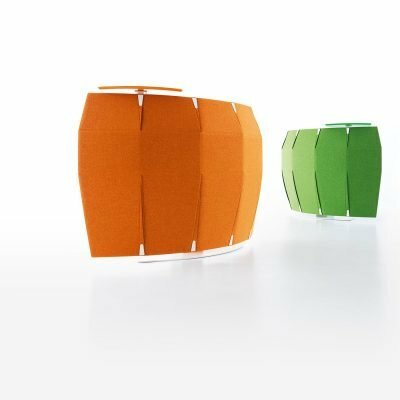 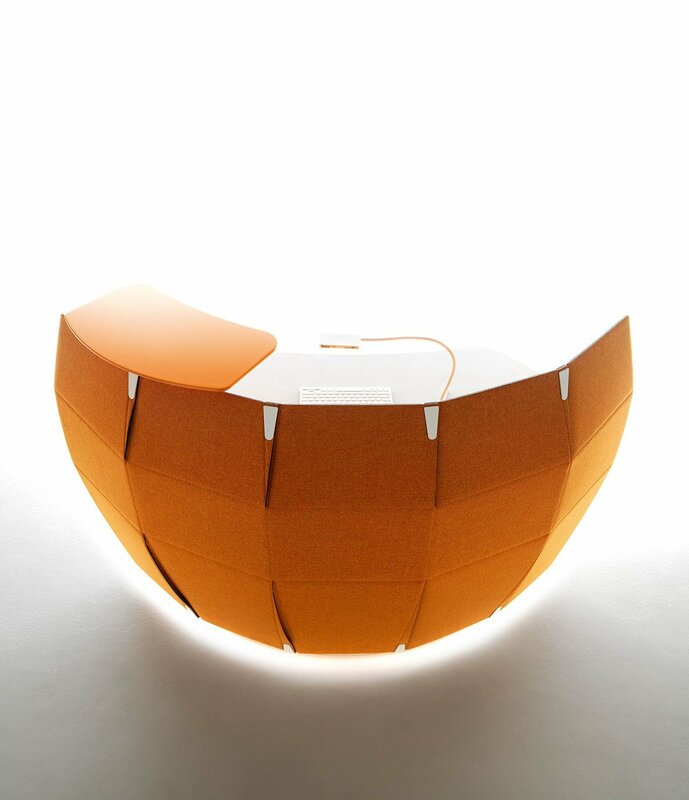 Furniture which is both intelligent and the interactive functionalities of which can be updated simply by means of an app. 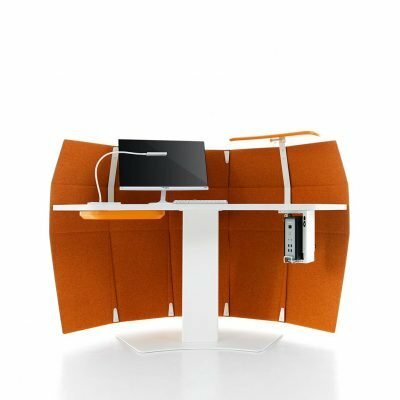 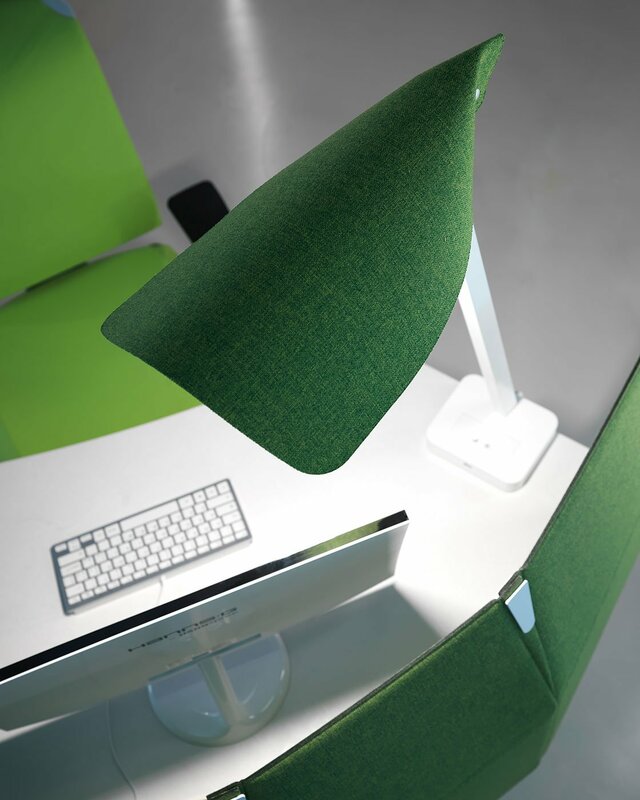 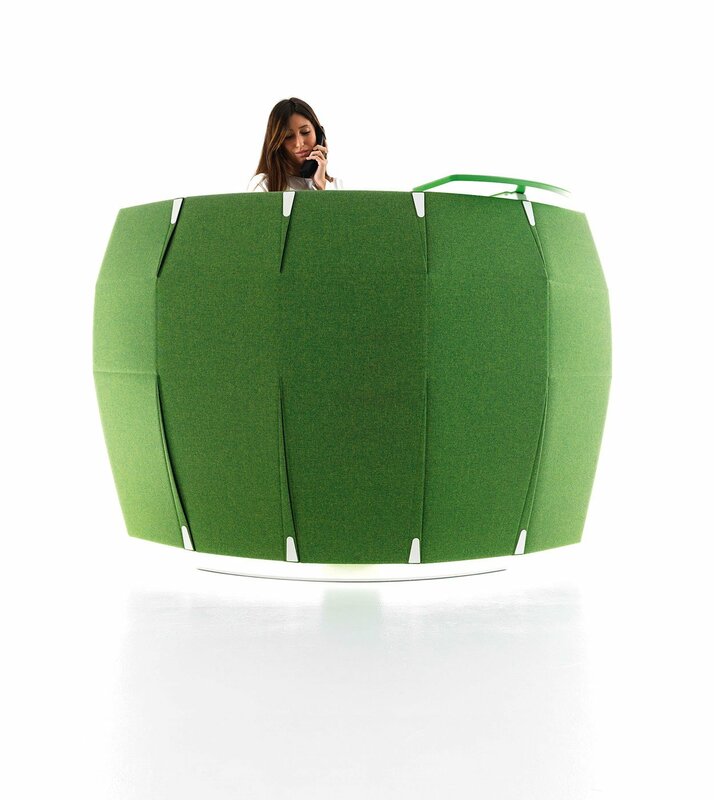 Each desk has been fitted with a hemispherical front panel, made from high sound absorbing material that enables acoustic correction to be carried out in a simple and immediate way, without of course forgetting its creative design.